Golden statues. Buddha images in the Wat Pho Buddhist temple complex in Bangkok. It´s a Royal Temple known also as the Temple of the Reclining Buddha. 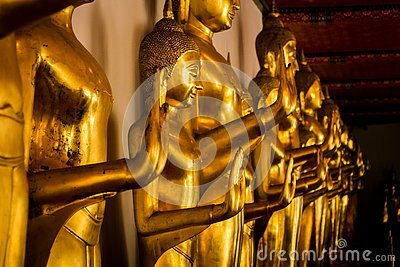 It´s the largest collection of Buddha images in Thailand.